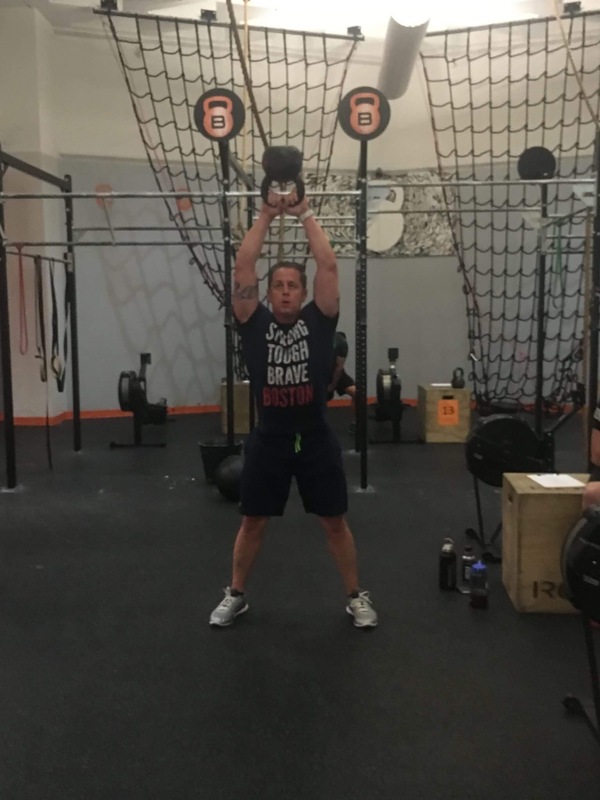 On Saturday, April 29 th, BRICK Boston hosted the first annual workout to benefit the New England Wounded Vets, Inc. Over 50 athletes came out to show their support for these amazing heroes. These soldiers have sacrificed so much for our country – the least we can do is sweat a little bit for them! We raised over $2,000 that will directly support five heroic wounded vets. Athletes worked in teams to complete the 'Recondo' hero WOD that includes a 4,000m row, 50 strict pull ups, 50 push-ups, 50 kettle bell swings, 50 handstand push-ups, 50 box jumps, 50 wall balls and 50 burpees. We even had a few brave athletes complete the workout 'Rx' with a 20 lbs weight vest. Though for our vets, this is just a regular day at basic training! If you missed it this year, we hope you will come out next year to sweat it out with us for this amazing cause. Be on the lookout for more upcoming events at BRICK Boston this summer!